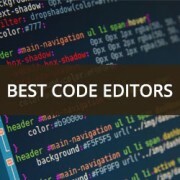 We often get asked about what’s the best code editor for modifying WordPress files? Well you can use any plain text editor such as NotePad, however there are better editors out there with features like syntax highlighting, advanced find and replace, FTP integration, etc. 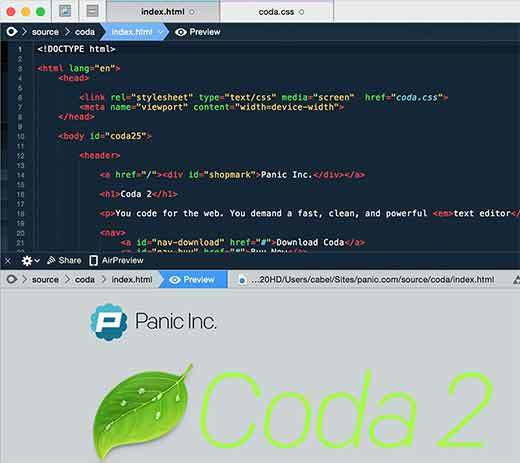 In this article, we will show you some of the best code editors available for Mac and Windows users. TextWrangler came out of the popular BBEdit text editor. This powerful and feature rich text editor is a freeware. It comes with a very intuitive user interface that makes it super easy to browse files and work on projects. It has advanced search and replace tools, and it can directly edit and save files to FTP, SFTP servers. It offers syntax highlighting for many programing languages, fully supports utf-8, and even allows you to convert character encoding of text documents. Code costs $99 for a single license but it is totally worth the price. 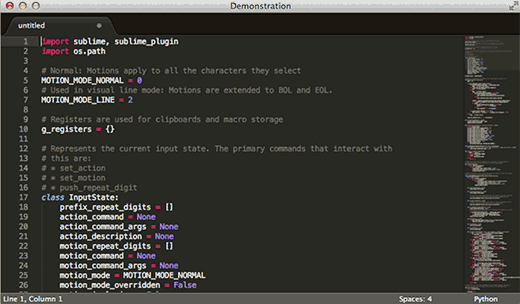 Sublime Text is a cross-platform code editor for Mac, Windows, and Linux. 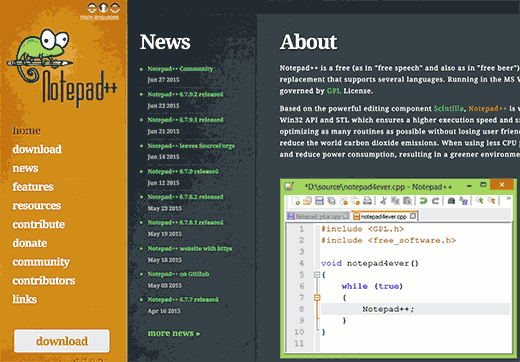 It comes with all the features you would expect from a powerful code editor and then some more. It looks beautiful and you can tweak the appearance to make it more comfortable for you. Sublime Text comes with advanced code editor features which allow you to autofill, autocomplete, reference function in a file, multiple selection, split editing, and many more. Sublime Text is available on trial and a single license will cost you $70. 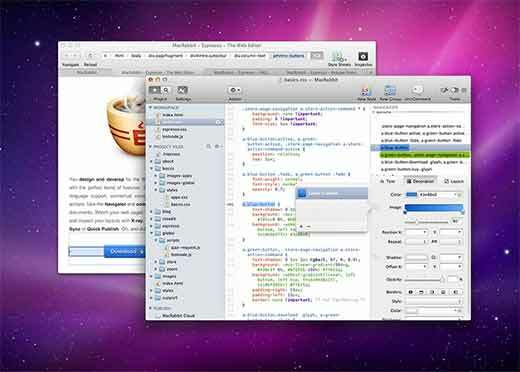 TextMate promises to bring Apple’s approach to operating systems into a text editor. TextMate is a simple yet feature rich code editor for Mac. Easy clip board management, sophisticated find and replace, autocompletion, foldable code blocks, are some of the powerful features of TextMate. TextMate is available for $60. It is also available as a free download. 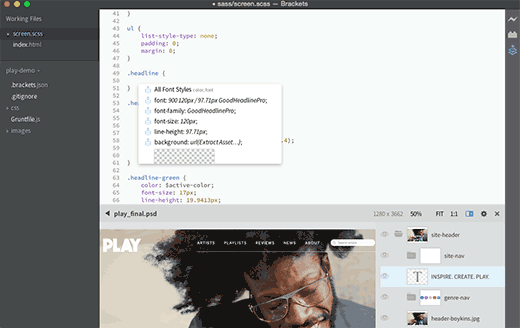 Atom is a cross-platform code editor created by developers for developers. It is open source, and much like WordPress, Atom users can submit packages and themes for the software. It looks pretty and you can change the appearance by installing themes. It comes with built-in package manager to extend it, smart autocompletion, file system browser, multiple panes, find and replace. BBEdit costs $49.99, you can also download a free trial version. UltraEdit costs $79.5 with a limited free trial version available for download. 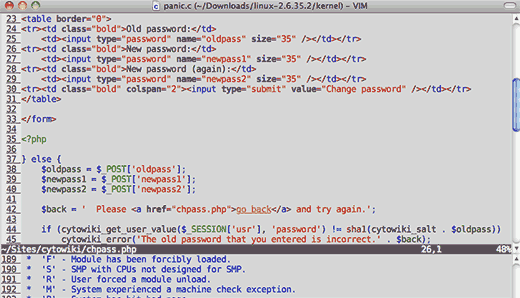 Vim is an advanced text editor that brings the power of Vi to an equally powerful feature set. Vim is open source and available for Mac, Windows, and Linux. Vim is so powerful and advanced that it is considered to be an IDE in its own way. Brackets was founded by Adobe to push web editors into the new age. 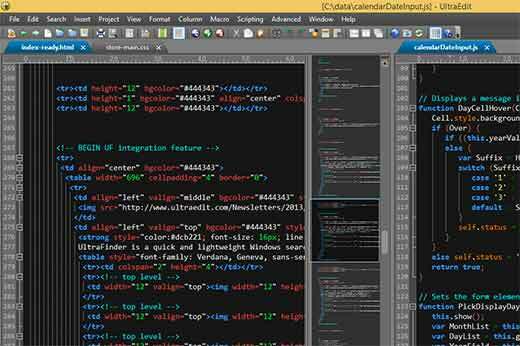 It claims to be an advanced code editor that understands web designs. Brackets can take hints from a PSD file and allows you to write code faster and better. Brackets is open source and available for Mac, Windows, and Linux. 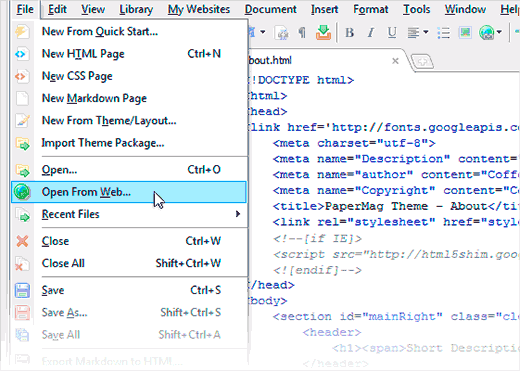 CoffeeCup HTML Editor costs $69 with a limited free trial version available for download. Espresso is available for $75. No word on PHPSTorm ? Nice round-up, but it would have been even better if you’d highlighted the specific integrations, if any, with WordPress php. As it is, the title promises more than this round-up seems to deliver. 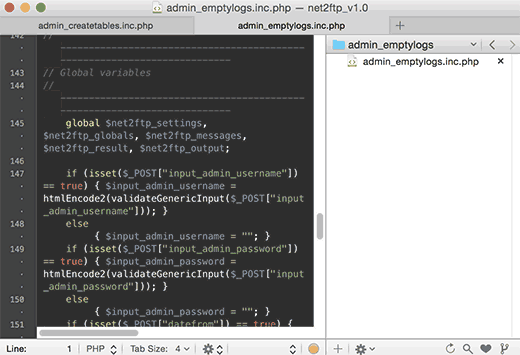 For example, I think Textmate had or has a “bundle” for WordPress php and components. 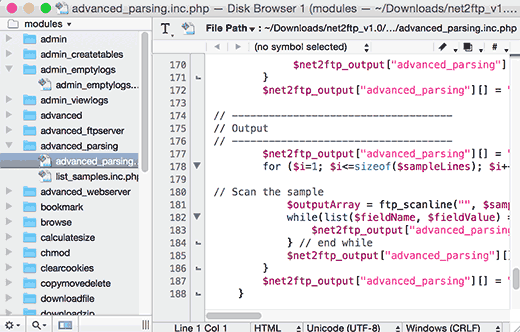 I grew up on Eclipse but when I retired and switched from Java to PHP, I switched to NetBeans. It not only checks syntax and supports keyword completion, it also supports debugging with breakpoints and watches along with single stepping. And it runs on any Java supported machine plus the price fits my budget – free. can you please suggest a link or video explain how can i debug WP in netbeans and how can i enable autocomplete ? You forgot the rel=”nofollow” for #10 Brackets. BTW, I also have a blog where I sometimes write about WordPress. I LOVE ShiftEdit, which is a Chrome app. I use a lot of different computers and all my sites are available no matter where I am. I use both Notepad++ and Brackets. Notepad++ is great for a quick file edit, while Brackets makes it easy to quickly work on multiple files at the same time. I know it’s not ideal but is there something that can be used on an ipad? You might enjoy working with Diet Coda, it is iPad version of Coda. There are some other free code editors too in the app store. 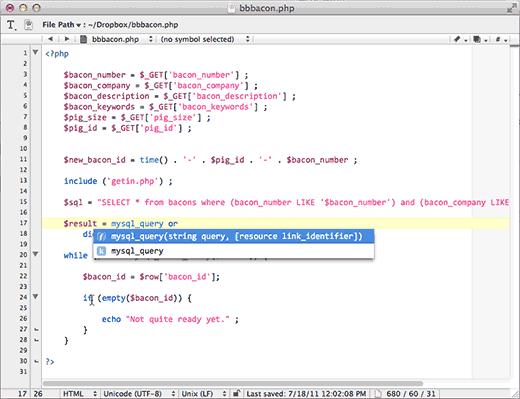 I would suggest Netbeans makes a great, free IDE for WordPress (especially if you use the WordPress plugins). Having used Coda 2 for the past 2 years, I would highly recommend it. Its advanced code editing, FTP features, and preview / web-browser functionality make this a breeze to use. A “1-stop shop” for web development.